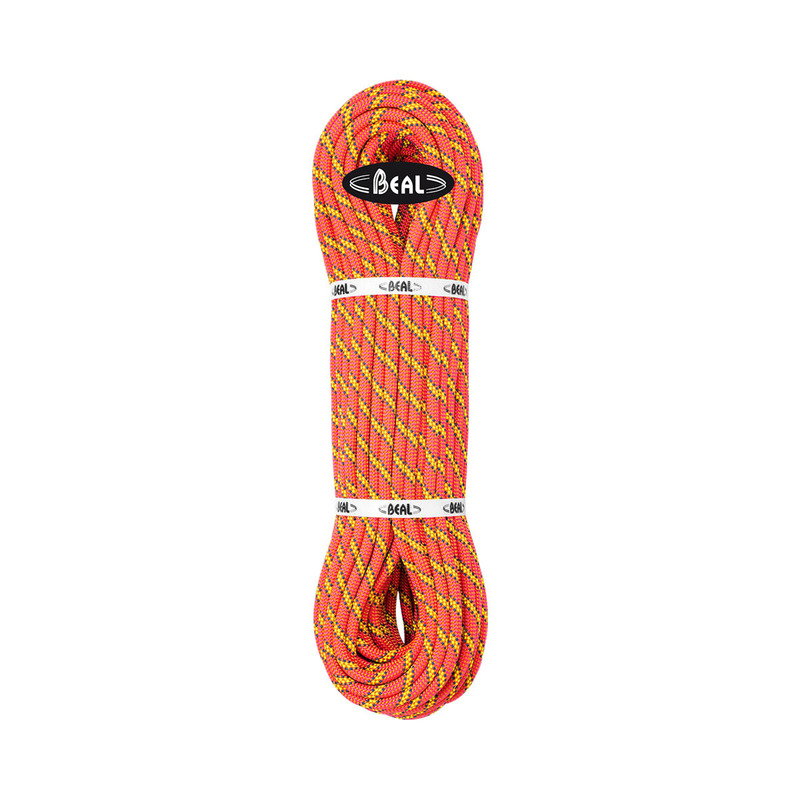 The Beal Karma 9.8mm is an intermediate single-rope with a balance between handling (grip and control) and thinness (speed) to provide a rope for sport, outdoor, and indoor climbers looking to advance their level and get used to smaller rope diameters. Part of Beal’s “Active Line”, the Karma 9.8mm is a one-rope-fits-all style, designed to cover the largest range of climbing disciplines as possible. Suitable for all-round climbers in need of a versatile rope. Used this rope in the lakes on 3 climbing days. Used as a top rope for a group of children on a slab, ran free without any knots. Used to lead climb on Little Chamonix as a two pitch route, with a fairly long run out on the second pitch, didn't heavy and grips fine from new in a standard belay plate. Also managed to get it coiled in a puddle, it dried pretty quickly considering it has no coating.